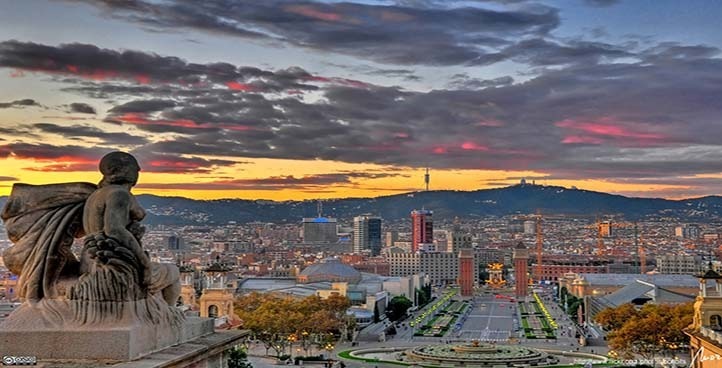 Barcelona is one of the most visited cities in the world, and it is easy to understand why; beautiful buildings, rich culture and friendly people. Most tourists and visitors come to Barcelona via airplane. The Barcelona El Prat Airport is a main hub for a lot of airlines, and handles more than 40 million passengers each year. Without organized transport, it is almost impossible to get around the airport, yet alone whole Barcelona. That is why we at NJ Star Limo have created the Barcelona Limo Service, a complete ground transportation service that will meet all of your demands. Besides offering you the possibility to create your own service that suits your taste and needs, and a professional attitude and dedication when it comes to our knowledgeable chauffeurs, we also present you with only the most popular sedan and limo models. Our Mercedes sedans and limos are the highlight of our offer and present just some of the many luxurious vehicles we offer. They are excellently maintained and kept in pristine and first class condition; yours is only to decide what model would be appropriate and useful for you to use for your journey through the beautiful streets of Spain’s second largest city. This complete service is available for everyone. It is practical, reliable, and most of all affordable for everyone’s budget. This means there are no extra fees or costs for luggage, waiting time or delays. At NJ Star Limo we take great pride and joy when our customer are satisfied and moreover when they want to come back to us again. That is why we always guarantee a personal and courteous service to each and every client, and go the extra mile to provide them with everything and fulfill their every request. Our staff is always available and here for you; Contact us today, and book your own unique Barcelona Limo Service, only with NJ Star Limo. This service includes and can be combined with many other offers. Should you be in need of an airport transportation service, an hourly service through the streets of Barcelona, or a complete city tour service, just select it during your booking process and our trained professionals will take care of everything in order to ensure that you get all that you need and want. You can also enter additional details, if you desire to personalize your ride and make it enjoyable for you and your fellow passengers.